Parkland and Open space is what traditionally defines the role of the Landscape Architect and is the calling card of most successful Landscape Architecture Practices. Good Parkland and Open Space design integrates the needs of the users with sympathetic treatment of the natural environment while paying particular attention to highlighting existing natural features, appropriate treatment of edges, and buffering to areas of environmental sensitivity. A reasonable area of open lawn usually forms part of the equation, along with hardstand areas addressing areas of circulation and most intensive use. Sustainable coexistence of natural areas with rigorous use of open space by the surrounding population is often enhanced by a well-conceived Interpretative signage program. This, over time, can properly inform the users as to the most important elements of the natural environment that are within their sphere of influence. Well conceived open space will consider the needs of a varying demographic and should for example, offer opportunity for a range of age groups. 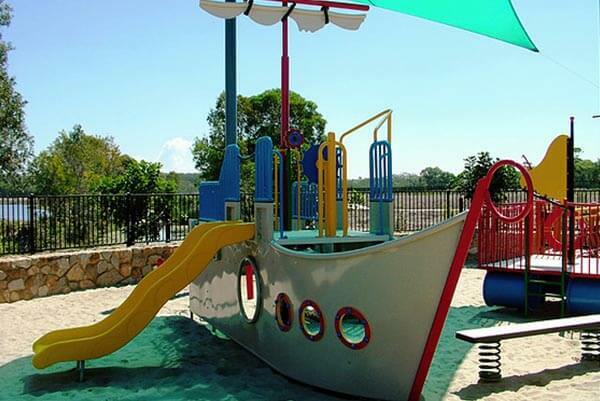 Rob Burrell has immense experience in putting together large and compact parks that cater for all ages, and would be pleased to offer widely varying examples of parks designed by LandGraphics that have stood the test of time.